Click here for the maze solution. Editorial Cartoon Maze of Bill Gates telling his team of monkeys to make a microsoft version of the iPad. Editorial Cartoon Maze contrasting JFK to Obama on the issue of traveling to the moon and NASA. 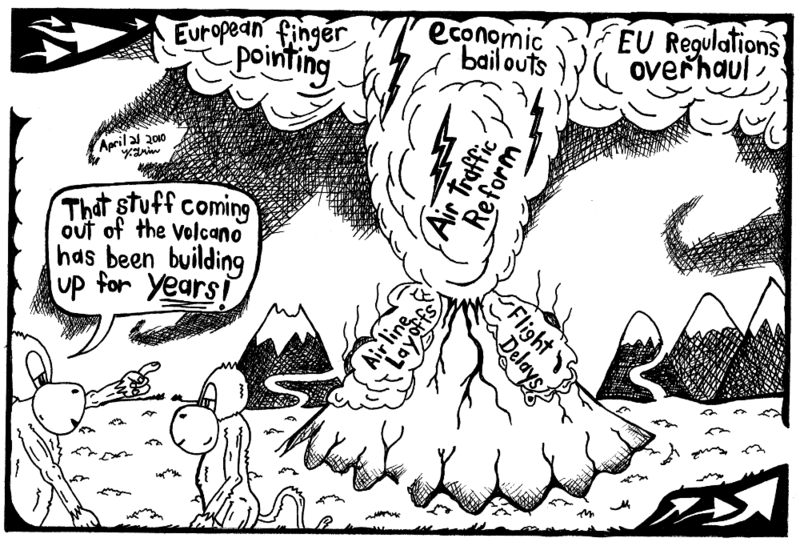 Editorial Cartoon Maze of Eyjafjallajökull volcano in Iceland that erupted an ash cloud over European airspace causing havoc. 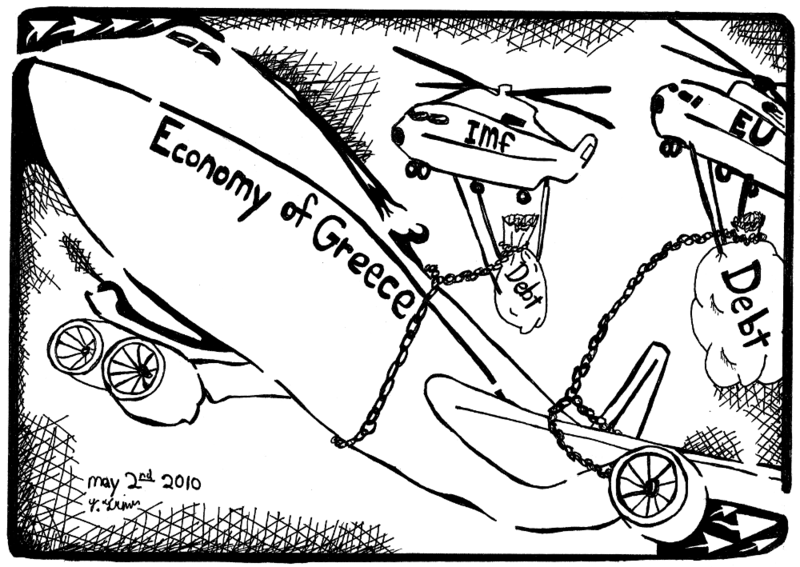 Maze Cartoon on the Economy of Greece. Maze cartoon editorial showcasing how stocks are effected by human error, buy having a bull represent stocks and a cowboy wrangling him to represent human error. 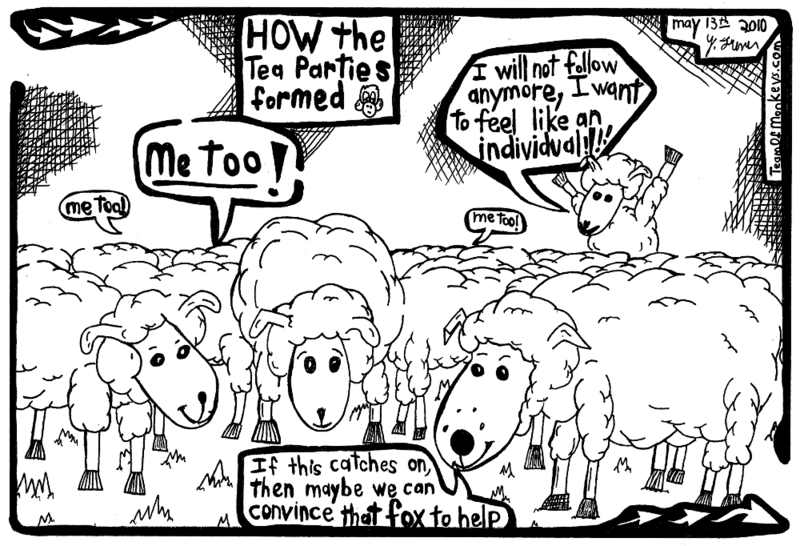 Cartoon maze editorial of a bunch of sheep in a field. 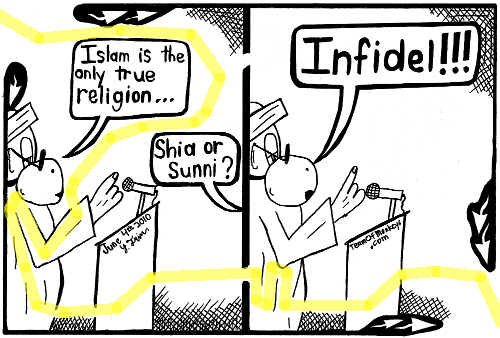 One sheep stands up and exclaims, "I will no longer be a follower!" The rest of the flock yells, "Me too!" and the group in the front explaim "If this catches on, we got to get that fox on board." 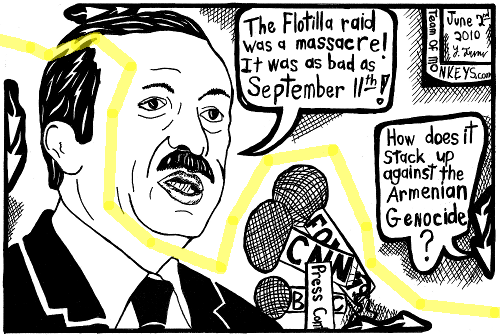 Cartoon Maze of Erdogan and comparison of Flotilla raid to September 11th. Click here or on the image for the maze solution. Editorial Maze Cartoon on Arizona Immigration laws. Click here or on the image for the solution to the maze.